Aker Solutions has won two contracts to supply complete drilling equipment packages for two new deepwater drilling units that are being built by Cosco, the Chinese shipbuilding company. The combined value of the contracts is about $195 million, and includes options for a further two units. "These contracts underline our attractive offering in the deepwater drilling market. Current tender activity is high, and we are pleased to see that our position in the deepwater market is competitive," says Thor Arne Håverstad, executive vice president and head of Aker Solutions' drilling technologies business. The equipment will be delivered to both units during 2012 and 2013. 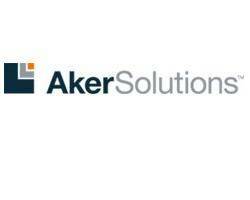 Aker Solutions offers complete drilling equipment packages, including project management, conceptual design, detailed engineering and procurement. We provide the full range of topside drilling equipment and systems, and worldwide customer support through our global drilling lifecycle services organisation.